Data is from the April 2017 Prezi report titled "The Science of Attention: Creating content that captivates and converts" conducted by Censuswide. 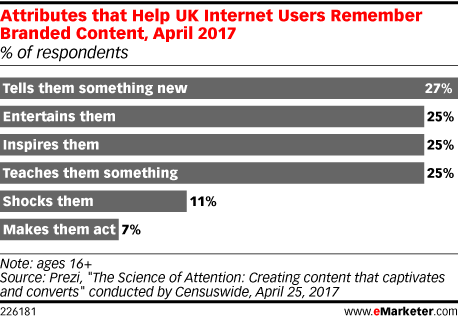 2,035 UK internet users ages 16+ were surveyed online during April 5-7, 2017. Prezi is a visual storytelling software and a presentation platform.